1. Select the required service. 2. Click the Documents button. 3. 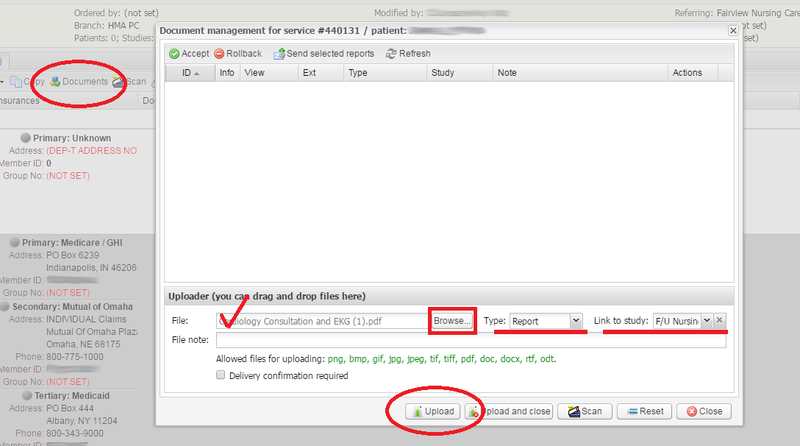 In the window that opens, click Browse to select a file to upload from your computer, select its Type and use the Link to study drop-down box to link the file to the corresponding study in the service. For instance, in the picture above a report is linked to an “F/U Nursing” study. 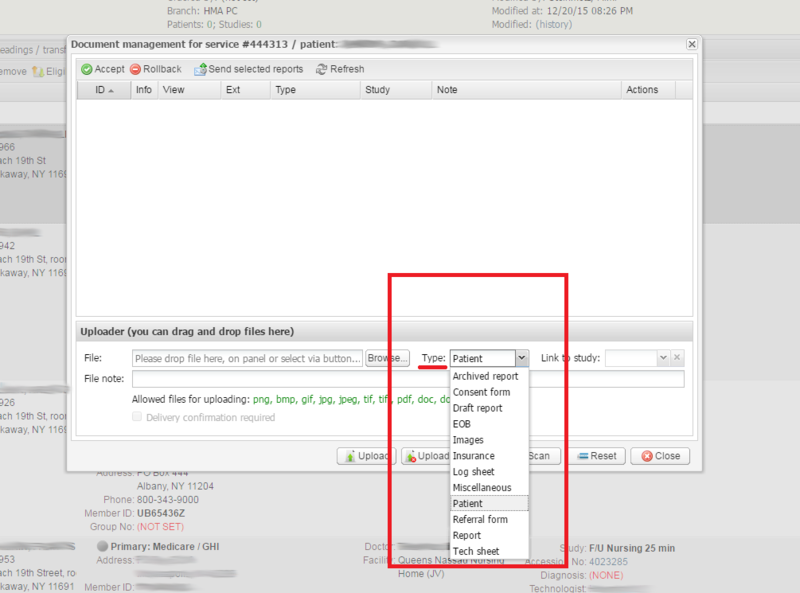 There are different types of uploaded files, such as Patient, Images, Report, Tech sheet, Insurance, Log sheet, EOB, Archived report, Draft report, and Miscellaneous. You can customize the file types in SETUP → PROCESSING → FILE TYPES. Choose the required file type according to the kind of the document being uploaded; for instance, upload a scan of an insurance card as Insurance or an exam worksheet as a Tech sheet. 4. Upload the files by clicking the Upload button.